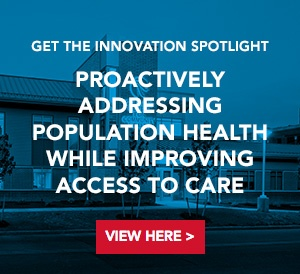 We are proud to announce the Virginia Commonwealth University (VCU) Medical Center’s Virginia Treatment Center for Children (VTCC) was named a finalist in Fast Company’s 2019 World-Changing Ideas awards. Specifically, the project earned honorable mention for general excellence and finalist honors in Fast Company’s Health + Wellness category. Fast Company’s World Changing Ideas Awards honor projects, concepts, businesses, and policies that offer innovative solutions to crucial social issues facing humanity. The full list of winners and finalists can be found online. The VTCC stands out as a “world-changing” project because it responds to our country’s mental health crisis. The National Institute of Mental Health reports that at least one in five young people needs mental health care, yet most children (nearly 80 percent) who need mental health services won’t get them. Research shows that 50 percent of all lifetime cases of mental illness begin by age 14. Suicide is the third-leading cause of death in youths ages 10 to 14 and the second for those ages 15 to 24. One of the biggest barriers to combatting this crisis is resources – there simply aren’t enough care professionals and facilities devoted to children’s mental health. The VTCC facility is designed as an open and inviting space for children and adolescents who need inpatient and outpatient care. Our Health Advisory Services team conducted in-depth research and planning studies to make sure the unique needs of the pediatric population were met and to create an environment that destigmatizes mental health care. Every self-contained inpatient unit includes 16 beds; an activity zone with treatment, therapy, and recreational areas; a clinician zone; and direct access to secure courtyards and enclosed “backyard” outdoor activity space. 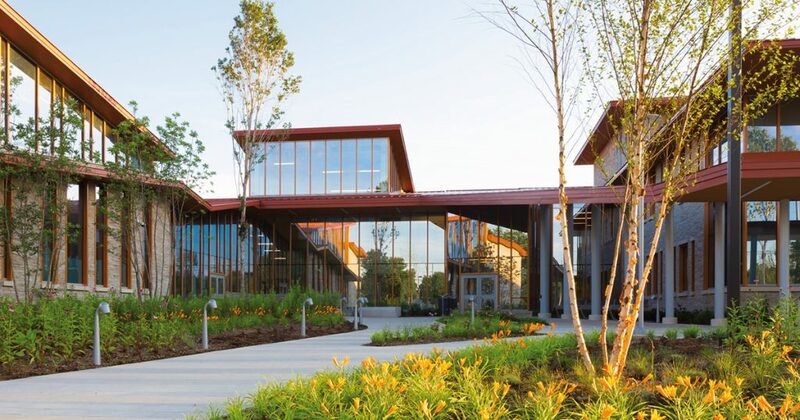 The curved and terraced forms of the architectural and landscape design work to set the space apart from “institution” style behavioral health facilities of the past. Natural light floods the space, while all patient areas overlook private garden spaces that promote a serene healing environment. The building also received a 2016 Award of Merit at the Behavioral Healthcare Design Showcase and was highlighted in Metropolis Magazine, Healthcare Design Magazine and Medical Construction + Design. In previous years, CannonDesign’s work with Cook County Bond Court and UC San Diego Health Jacobs Medical Center has earned World-Changing Ideas accolades. In addition to this year’s honors for VCU VTCC, CannonDesign is recognized as one of just nine World-Changing Company finalists.